WHO DESERVES to live on riverfront property in Kamloops? 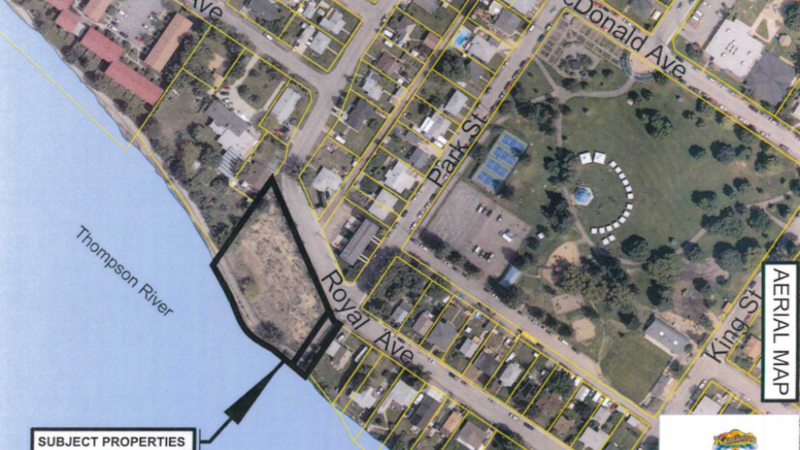 It would seem, based on a recent City of Kamloops’ council decision to move forward with a public hearing, that the City thinks the best use of riverfront property is single-family residential lots. In the Aug. 14 council meeting, they called for a public hearing to rezone the former Thrupp Manor property into five single-family residential lots. The riverfront property at 571 and 591 Royal Avenue has been vacant since the City purchased the property from Thrupp Manor a decade ago. The public hearing is not being done on request of a private land owner. The City is the owner of the property. It is the City itself who is asking for the empty property to be subdivided and prepared for five single family homes. One must remember that City staff has put forward the five-lot subdivision as what they think is the best use of the land, but City Council must go into the public hearing with an open mind, and be willing to listen to community input. The City is proposing that the empty property be made into five single-family residential lots. Waterfront property is always a scarce commodity, in Kamloops, and elsewhere. It is in limited supply. And the City Council is moving ahead with a public hearing on the rezoning to provide five more single-family lots on the waterfront. Good for people who want a single-family home on a waterfront lot, but what about everyone else? In Kamloops, 25 per cent of people live by themselves. That is, one in four households are one person households. Over one in five people in Kamloops are 65 years or older. We have an aging demographic. At the same time, one in six households live in condominium rather than fee-simple housing. All of these numbers suggest a sizable number of people in Kamloops want the options of multi-family housing. Kamloops households are getting smaller and older. But if this rezoning goes ahead, City Council will chose to replicate a city vision out of the 1950s. They will take the unimaginative approach of replicating a 1950s housing model, rather than being forward thinking, allowing for multi-family residential on the site. City council would also be ignoring what people want. In 2017, there were 210 building permits issued for single family dwellings, compared to 469 for multi-family. So far, for the first half of 2018, the trend continues, with 125 single family dwellings versus 171 multi-family. Almost none of Kamloops’ riverfront properties is multi-family residential. Riverfront property is precious. But that is no reason that almost all of it should be dedicated to single family residential homes. Currently, almost no parcels of land on the river are set aside for condominiums or townhouses. Why should there not be more waterfront housing options for singles, seniors, and people who want a simpler lifestyle or a smaller home? Currently, almost every residential waterfront property in Kamloops is single family residential. In downtown Kamloops, from Riverside Park to the Yellowhead Bridge, only one property is multi-residential, an apartment/townhouse complex on Lorne Street at 10thAvenue. From the Yellowhead Bridge to the end of Dallas, there is just one property that is multi residential, a small mobile home park underneath the bridge. In Rayleigh and Heffley Creek, there are no multi-family residential parcels of land on the river. From the start of Schubert Drive, through all of Westsyde, the only multi-family residential parcel on the river is at Oakhills Mobile Home Park. This parcel, which is cut off from the river by a high dike, was completely submerged in the flood of 1972, likely making other types of housing unsuitable. From the airport all the way to the meeting of the rivers on the North Shore, there are less than a dozen properties that are multi-family residential. So in all of Kamloops, in the vast city, with many kilometers of riverfront, far less than 20 properties are zoned for multi-family residential. Why should waterfront property be almost completely zoned for single-family residential? Why should people with other types of housing needs be completely forgotten by City council? And the answer is that it shouldn’t. Land zoning should reflect the community we are, and the community we want to become. Favoring single family residential on the waterfront over all other types of housing, presupposes the types of housing people want and the types of people who should have access to live on the river. Our city is changing. Families are smaller and one in four of us live by ourselves. We are collectively getting older. Yet there are almost no options for living on the waterfront except single-family residential homes. While there are hundreds of lots on the river, only a handful are zoned for multi-family residential. And with this latest move by City council, it looks like yet again, people who want options other than a single-family residence are being forgotten. The public hearing is scheduled for Tuesday, Aug. 28 at 7 p.m. at Valley First Lounge, Sandman Centre, 300 Lorne Street. If you think more waterfront multi-family residential housing should be available, come and raise your concern. City council will be there to listen. I’m embarrassed to admit that never in my life have I attended a public hearing. This lackluster performance is about to change — on Tuesday, Aug. 28 at 7 pm in the coliseum’s lounge. Thank you Denis and Nancy for taking this on. Excellent column Nancy! And terrific points by the commentators below! With creative thinking, this prime piece of riverfront property could be called home and enjoyed by MANY, not just the Five Few. Nancy will remembering hearing me speak to keep Cowan park, and later when offered the chance to speak, stated, “I stopped listening when…..” I learned a lot about listening that day from Pat Wallace. Whom, after a young teenager spoke, heard the boy say, I care for that property and I have picked up broken bottles and I still enjoy the space. With Pat in favour of keeping the park a PARK, the motion on the floor to rezone for multi-purpose dwellings was tied. A tie vote rescinds the motion. All 800 of us gathered, smiled. Not so the council at that time. In 2011, the BC Government gave money to municipalities to find and develop properties. The City of Kamloops did this without any grass roots consultation, and sent letters to mail boxes with their intentions at the beginning of Spring Break. Interestingly, the school district sup, knew nothing of the proposed development and yet the district owned part of the property. The Rotary club built the facility and were also not informed. Our meeting on two properties in the Sagebrush Neighourhood lasted three days, and resulted in the rallying of River Road. Which brings me to this point. Listen to your people, to where the need in housing is. Many young families, I have met at the Christopher Seguin Rotary Dinners, struggle to make ends meet. We still need social housing. This land is a gift to struggling families and a legacy to Kamloops in innovative housing solutions. A very successful local and award winning woman in Kamloops (born and raised), came before council with a development proposal and was turned down. Shocking. Not only create a housing area, but include a plot for gardening at the park nearby by, (its big enough) and a meeting room with a community kitchen. The Boys and Girls Club of Kamloops is not far away for family programming. There are three schools to choose from, a beautiful park behind the site and our interconnecting trail system available to them, should they not have transportation. Social Planning really is letting the community down, by allowing such wasted space for a few, when many could benefit. In the end its all about understanding the needs and communicating the best plan. Don’t waste a gift in land to a few, Kamloops is full of developments. It is not “river property, its property for a purpose. Lets get this right. Seven year employee with Boys and Girls Clubs (working with at risk families and children). Volunteer, (Christopher Sequin Rotary Dinners). 25 Year employee, School District, (with at risk learners & cooked breakfast for 25 students per day at Arthur Hatton Ele. for two years. What it should be is a small park where people with no waterfront can sit for awhile.It could also follow the example of the small park on Schubert drive where you can park,get out of your vehicle if you want and sit down and if the river is low go down and walk along the river.We,from Barriere often brown bag it there and also at the Pioneer Park boat launch.There are too few places in Kamloops where this is possible. As far as councils go,Pierre has hit the nail on the head.Far too many decisions are made without public input. 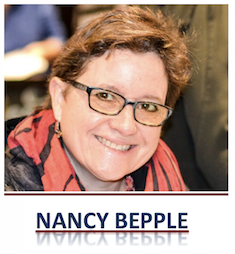 I totally agree with Nancy’s (and Denis’s) positions that 5 single-family units is NOT the best use of this piece of property… We need densification, and way more single-units for seniors, low-income individuals, homeless (and not all homeless are drug addicts and alcoholics – lots of them are homeless due to bad economic times – wages not keeping up with inflation, too high prices for housing…). I would be curious to know what the revenue to the city would be for outright sell the 5 lots against selling it as a whole, and also what the following tax revenue would be on 5 parcels as compared to a single condo on the whole lot. Seniors, I believe would prefer to be close to amenities….not half way down a dark narrow street. Just asking…. Although my wife and I live in a single family lot on the river I totally agree with what Nancy has outlined above. We enjoy living on the river, even though a dense riparian zone separates us from it. But we get seasonal glimpses of the river, many songbirds, deer, and the odd bear, and the odder beaver. The more people exposed to these lovely remnants of nature. And in addition to nature we have one side of our square lot that will never be built on, so that we can walk a short trail to the river and pretend we are forest dwellers. Unfortunately, as we grow older we may have to downsize and/or move to an apartment. Wouldn’t it be a plus for the city if people like ourselves could live in a multi-family residential dwelling? Densification should maximize the number of people who can enjoy what we have enjoyed. “One must remember that City staff has put forward the five-lot subdivision as what they think is the best use of the land,” that is correct Nancy, City’s staff. Come to thinks of it, way too many bad choices have blighted Kamloops and they came from City’s staff, adopted unchallenged by a spineless council. There is this crazy notion, very, very pervasive amongst council members that City’s staff can do no wrong and challenge them over proposal they make is not good practice. But challenge them they must because that is supposedly part of their job. Completely agree. Well said, Nancy. And thanks to Denis Walsh for likewise standing up against the Council.